2. 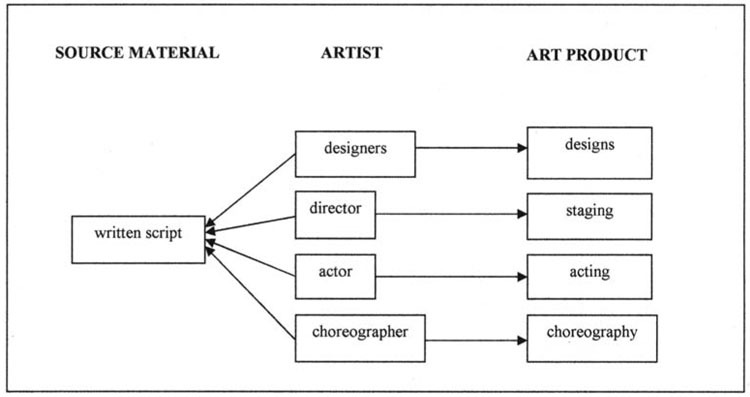 In contrast with figure 1, this diagram emphasizes the simultaneity of the collective creation process. 3. 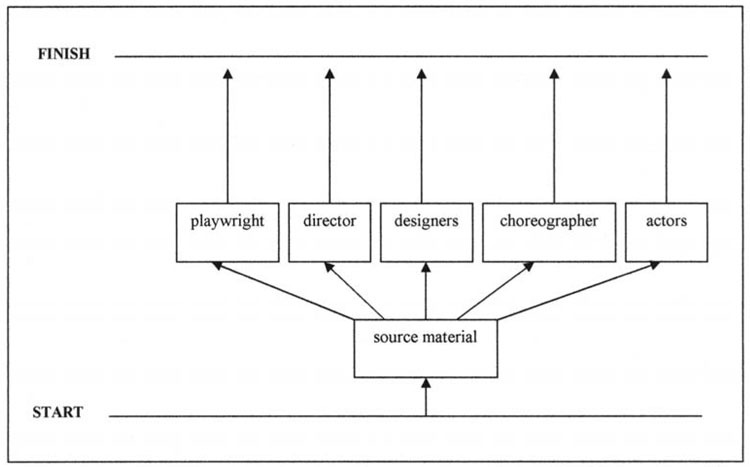 This diagram shows the hierarchical structure seen in traditional production processes. 4. 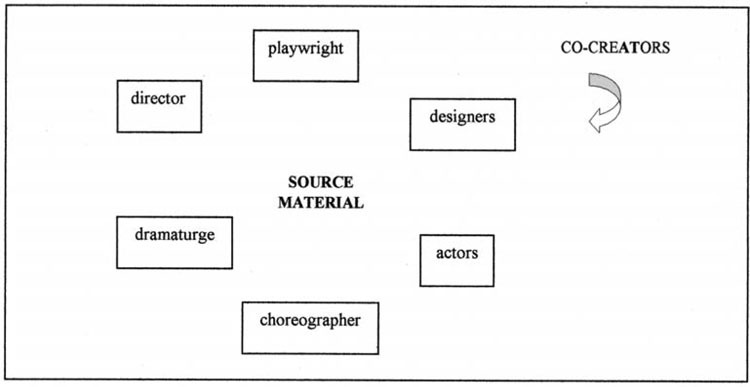 In contrast with figure 3, this diagram illustrates a collective approach to the creative process that encourages every team member to contribute as a co-creator. 5. 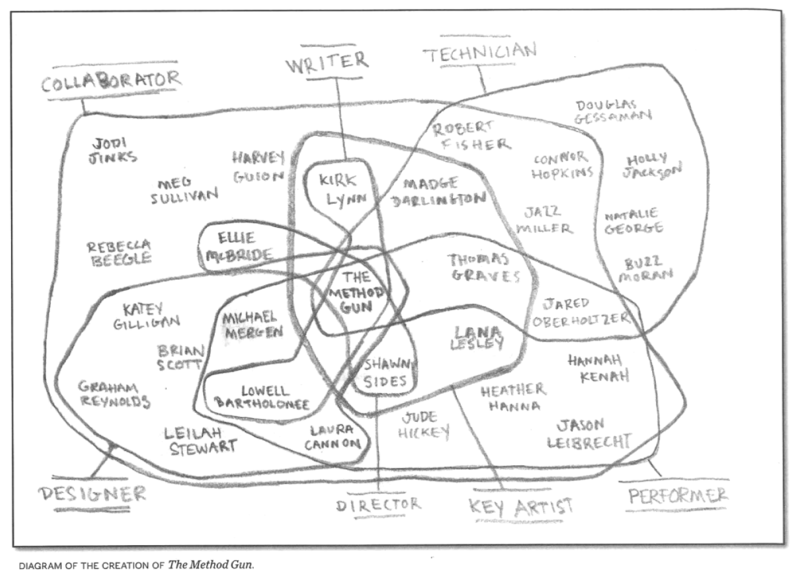 This diagram shows a traditional approach to theatre-making in which each artist is consigned to his/her sphere of disciplinary control. 6. 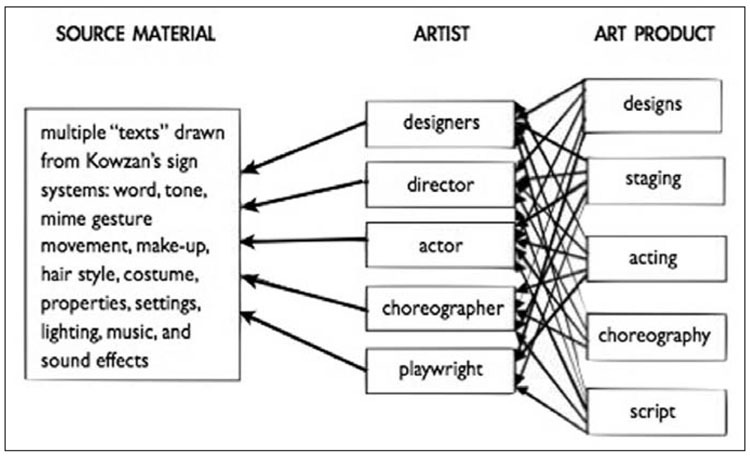 In contrast with the disciplinary rigidity shown in figure 5, this diagram illustrates a process that encourages team members to cross disciplinary boundaries and seek solutions outside their areas of expertise. 7. 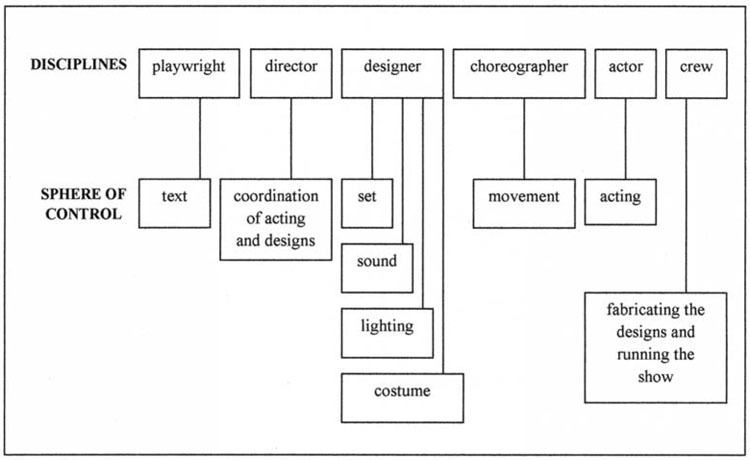 This diagram identifies a written script as the blueprint and point of departure for a theatrical production. Finally, here’s a bonus chart. The Period Table of Storytelling, by computersherpa and hosted on deviantArt.com. Go forth and create. 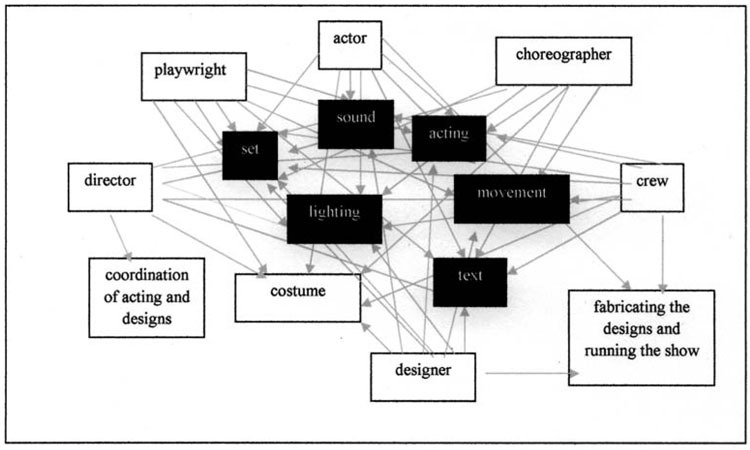 I develop new plays all the time with esembles from simple starting places. I hope I can share a process some time with you. I’d love to hear more! Does your style generally fit one of the above? What role/s do you play?